Google’s intrusive interstitials penalty has officially commenced from January 10th 2017. 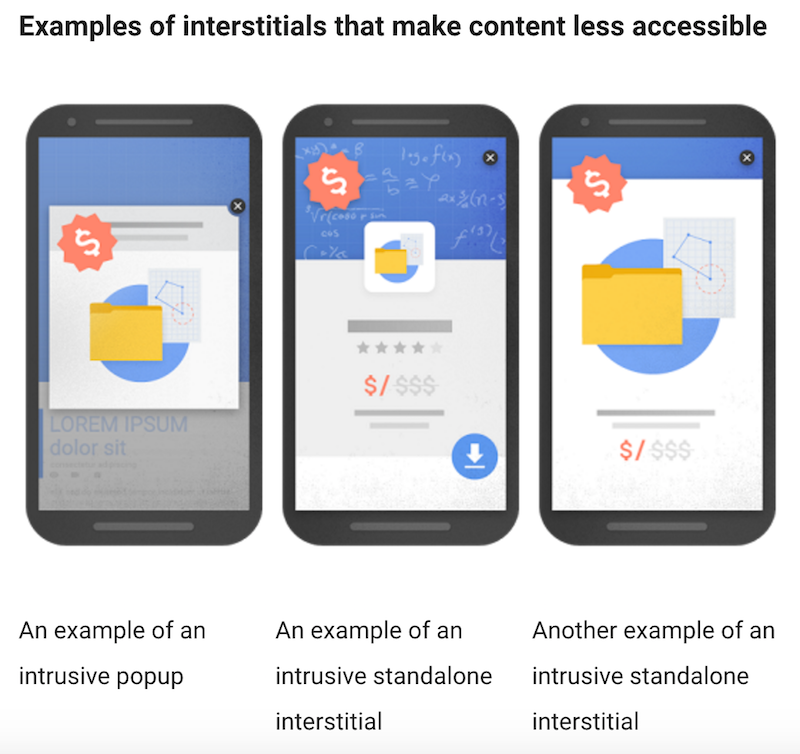 The intrusive interstitials penalty is a step to eliminate pages that provide a poor experience to mobile users where content is immediately accessible yet blocked by a “pop-up”. Interstitials are advertisements that appear while a chosen website or page is downloading. I suspect Google is targeting overlays that gray out the content beneath them to prevent you from reading a website. Mobile ads that are displayed over top of the main content appear to be no longer acceptable. This includes ads that appear when you land on a page, as well as ads that appear as you scroll down a page. This change only impacts mobile – You don’t have to remove intrusive pop-up ads and interstitials altogether, you only need to remove them on mobile pages. They can still be displayed on desktop browsers without incurring any kind of penalty. 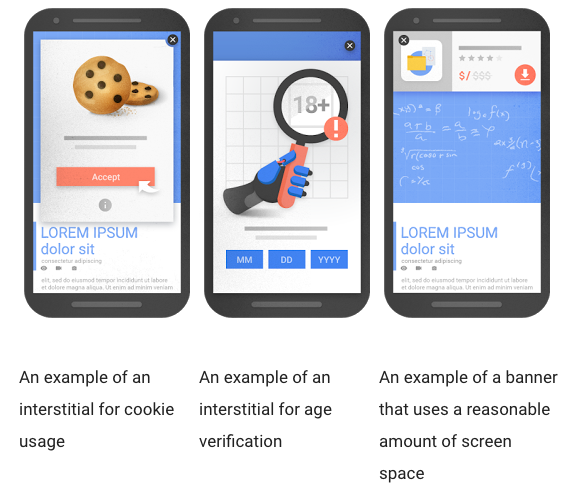 Keep interstitials small – Google recommends using interstitials on mobile pages that only take up a “reasonable” amount of screen space. Remove barriers for mobile users – Content on the pages you have indexed in mobile search must be readily available when a user clicks through to the page from Google. Ideally, there should be no barrier preventing a user from reading content on the page at any time. Re-evaluate the use of Pop-Ups – businesses that rely on advertiser dollars, should figure out ways to make money without totally disrupting the mobile user experience.